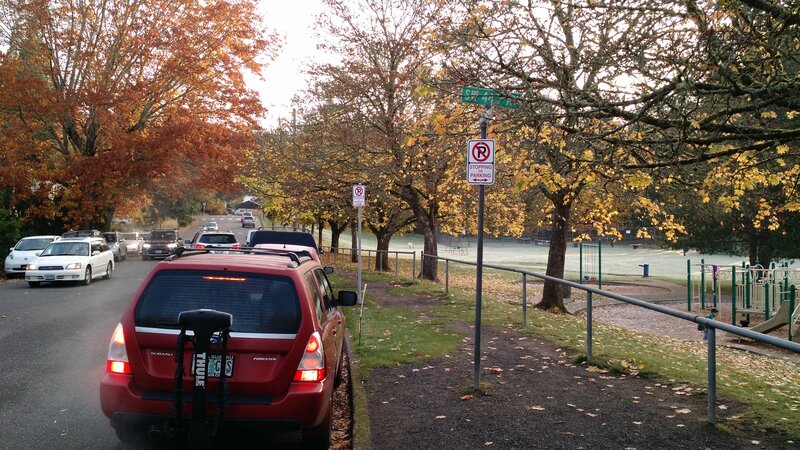 Car stopped at no parking sign in front of Bridlemile Elementary School in southwest Portland. Publisher’s note: This post is by southwest Portland resident David Stein. He shares the story behind a local project he worked on as part of the much-heralded PSU Traffic & Transportation Class. It’s a great example of how to identify and tackle a nagging street safety problem and we hope it’s an inspiration to some of you. 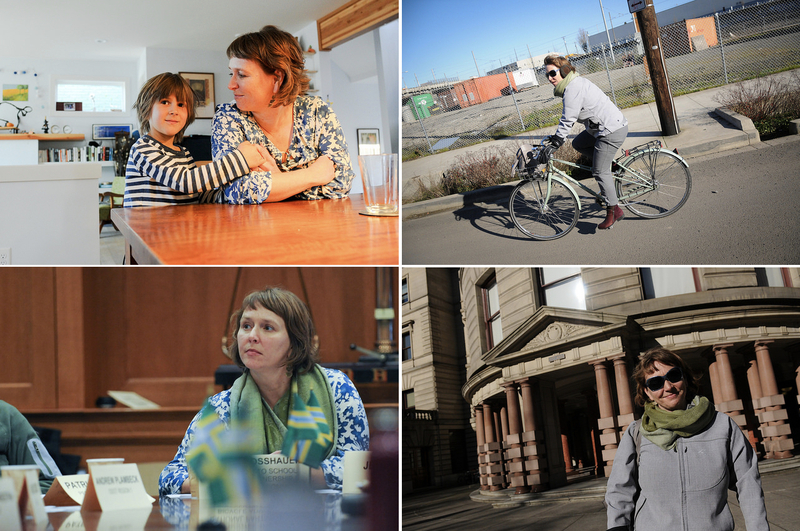 Stein is also a member of the PBOT Bicycle Advisory Committee. 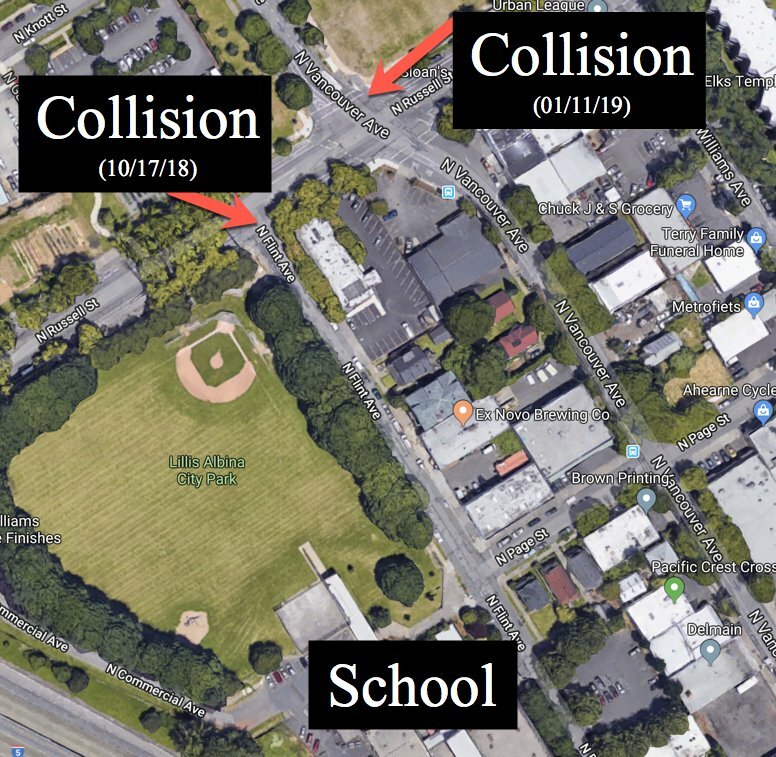 As a student project in the Portland State University Traffic and Transportation course, I decided to try improving a safe route to Bridlemile Elementary in southwest. In the class we’re told, “You have a PhD in your neighborhood,” and the leaders encourage us to make Portland a better place through a class project. 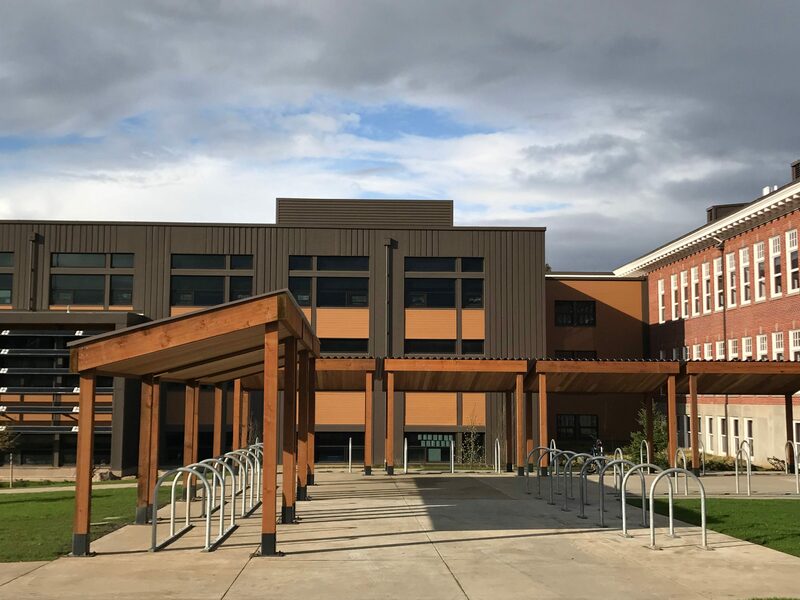 The State of Oregon has finalized its first batch of Safe Routes to School projects funded through the $5.3 billion transportation package passed by legislators in 2017. 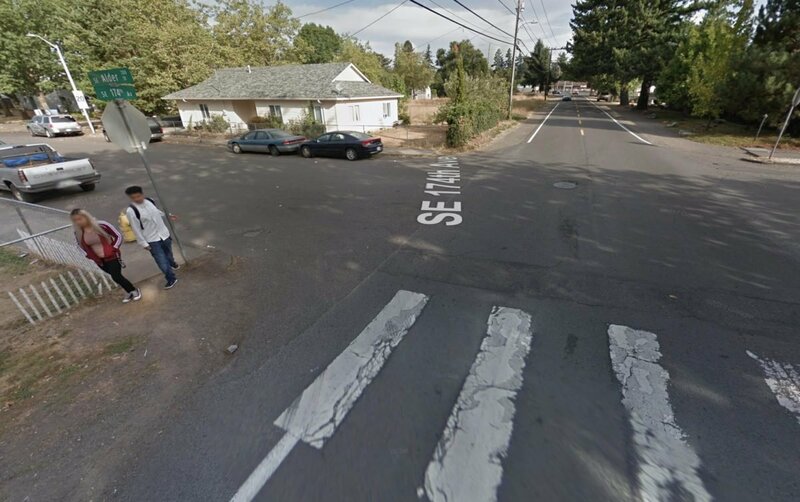 This street on SE 174th near Alder School along Portland’s eastern city limits will get sidewalks if a PBOT grant application is successful. 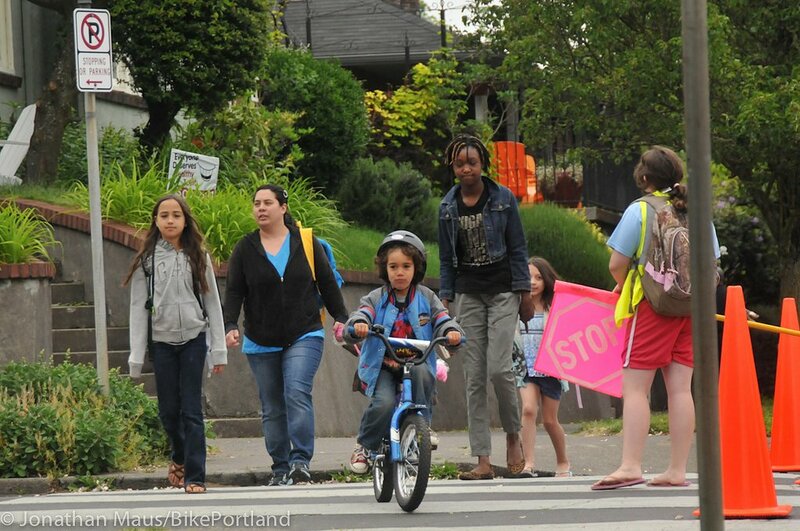 At city council on Wednesday the Portland Bureau of Transportation will request support for a grant to the Oregon Department of Transportation to fund three Safe Routes to School projects in east Portland. Getting to school in north Portland’s Overlook neighborhood. The State of Oregon has opened up a new grant program to fund projects that make it easier to walk, bike, and roll to schools. 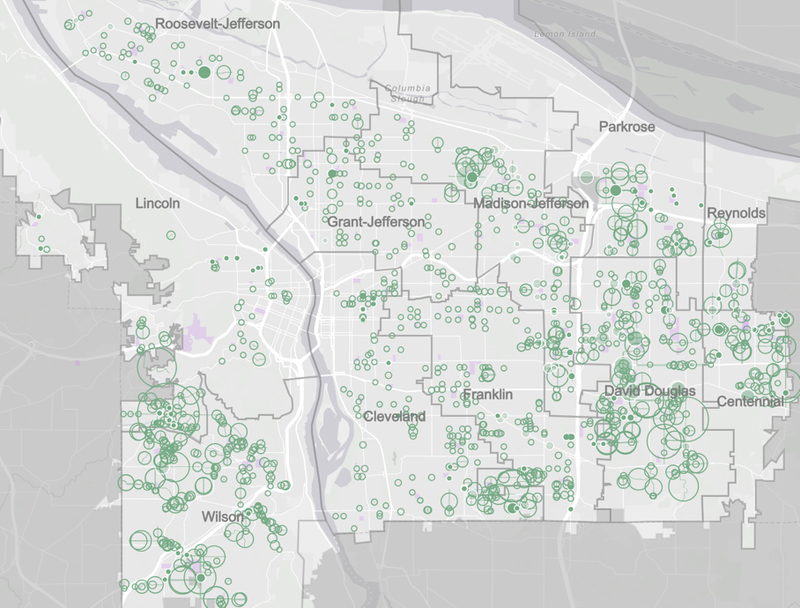 Projects in all 11 school clusters in Portland. See the interactive map here. 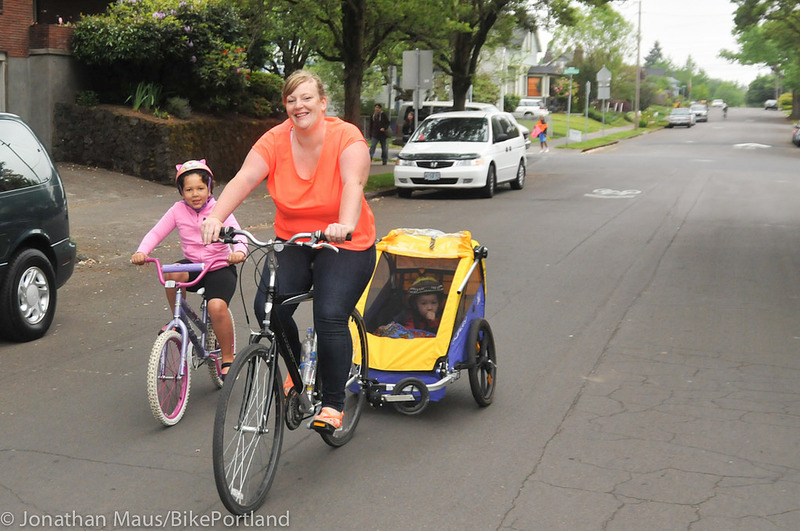 In what they’re calling a “major milestone,” and for the first time since the program began in 2006, the City of Portland has identified and published a list of Safe Routes to School projects that are funded and queued up for construction. A family makes their way to Beach School in north Portland on the Concord Neighborhood Greenway. One of the bright spots in the $5.3 billion transportation package passed by the Oregon Legislature in 2017 was annual funding dedicated to Safe Routes to School. House Bill 2017 (which the Oregon Department of Transportation now calls the Keep Oregon Moving program), included a $10 million annual investment in street safety projects within a one-mile radius of schools. That number bumps up to $15 million a year in 2023. But when the ink on the bill dried, there remained a lot of things to figure out. Who would be eligible for the money? What would the grant process look like? Which type of roads and projects would compete best for the funds? 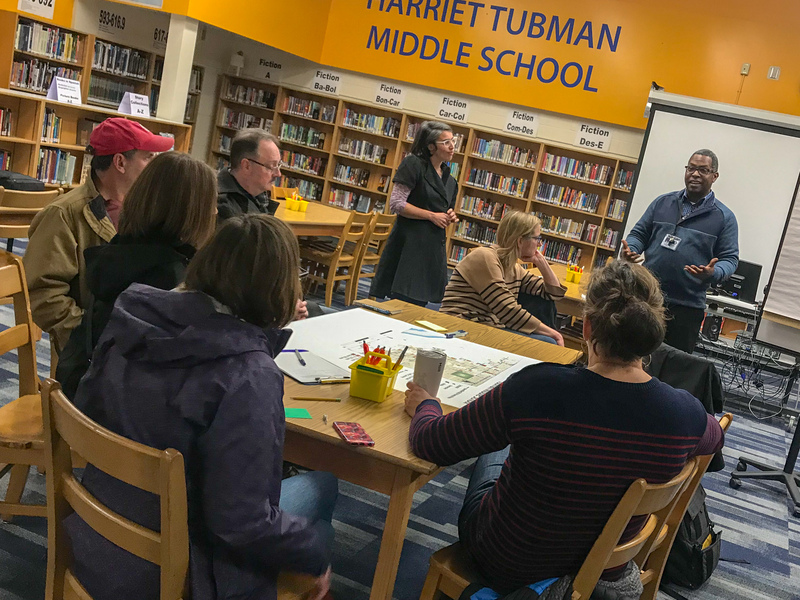 To answer these and other questions, ODOT convened a Safe Routes to School Rulemaking Advisory Committee. The bulk of that committee’s work is done and yesterday ODOT announced that the draft rule update for the new Safe Routes to School Fund is ready for public scrutiny. Few things warm my heart as much as bike parking done right.